In my new summer blog series, 3 Resources I’m Loving, I’m going to be sharing my favorite 3 resources at the moment for different purposes! This week, let’s talk about some helpful resources for music & relaxation and self-regulation activities. I always end my sessions with a calming activity to help regulate and center my clients before they leave the therapy space. Below are three tools I’ve been using heavily this summer that I just can’t live without! 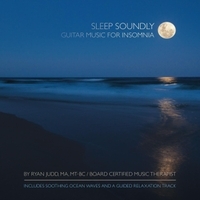 When Ryan told me about Sleep Soundly, his latest project, I couldn’t wait to get my hands on the tracks! After my first listen, I was totally blown away by its beauty and adaptability. Each song is rhythmic, well-paced and contains really nice ambient sounds that lend beautifully to music and relaxation exercises appropriate for any age or population. I’ve been using them with ambient instruments like ocean drums, rain sticks and wind chimes, and have even encouraged some of my families to purchase the CD for use at home. All my clients know that the cabasa is my absolute favorite instrument and expect to see it offered as a choice at the end of our sessions. It’s fantastic for providing tactile stimulation, is easy to hold and manipulate and makes a high quality musical sound with even the lightest touch. Demonstrate rolling the cabasa slowly on your hands, arms, legs, etc and encourage your clients to do the same. Provide physical support if needed (and use recorded music—try one of Ryan’s tracks from above!) or fade back and provide relaxing guitar or piano accompaniment. I’ve been loving Kat Fulton’s Easy-to-Learn Relaxing Guitar Loop lately. My go-to is this mini cabasa, which fits in my bag without weighing it down. I created this simple kite visual for one client in particular and have found myself using it with almost everyone! 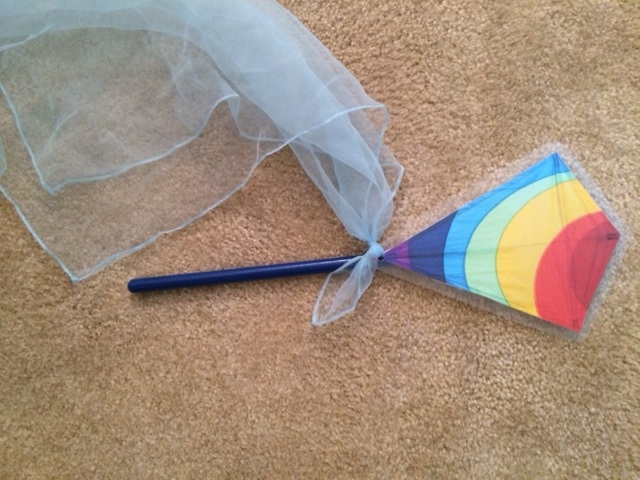 Try using it for music and movement with the song “Let’s Go Fly A Kite” from Mary Poppins or for deep breathing/stretching. I will often encourage clients to stretch up to touch the kite wherever I am holding it, take a deep breath and blow out to try to move the scarf. What’s your favorite resource for music & relaxation right now? Leave a comment below–I’d love to add more resources to my list!